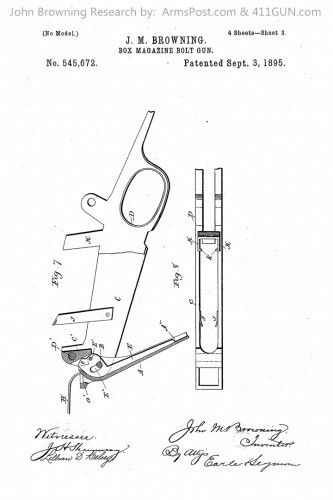 This Box Magazine Bolt Gun design was granted US Patent 545672. 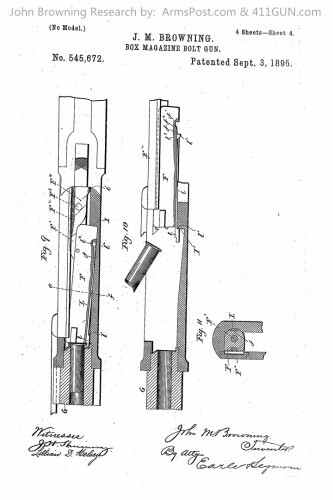 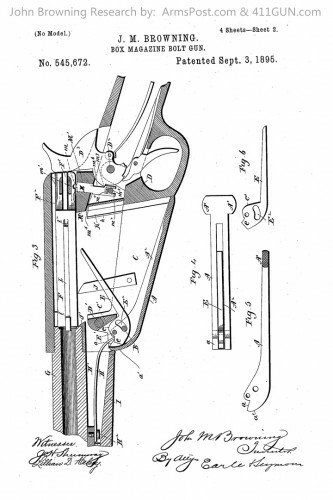 John Moses Browning had applied for the patent on April 29th, 1895. 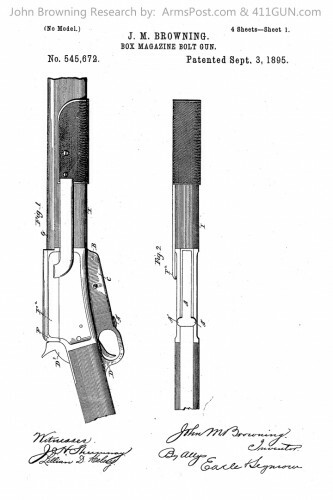 In less than a year he was granted the patent, on September 3rd, 1895.